The CBI submitted its report quietly in a designated court and the Delhi High Court late last year, saying that "the investigation in respect of petitioner Kashyap Kumar has concluded and CBI has decided to close the case against him". New Delhi: After over a decade of hounding and humiliation, the CBI has not found anything against former captain of Indian Navy Kashyap Kumar, who was dismissed by the government in 2005 for being allegedly involved in the infamous naval war room leak case. 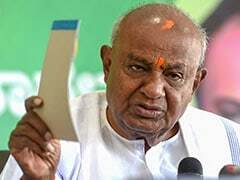 The status report on the CBI probe came on a petition moved by the 58-year-old captain in the high court seeking quashing of FIR against him. Disposing of the petition filed by Mr Kumar, Justice Ashutosh Kumar had said in his single page order that the CBI, "on the strength of the relevant documents, has submitted that the case against the petitioner has been closed by the CBI". Kashyap Kumar was dismissed from service in October 2005 in exercise of the rarely used President's "pleasure doctrine" under Article 311 of the Constitution without facing a court- martial after his name surfaced in the navy war room leak case. He filed a writ petition in November 2005 challenging the decision. He was named in the FIR after the CBI took over the probe but the agency did not chargesheet him for want of evidence. 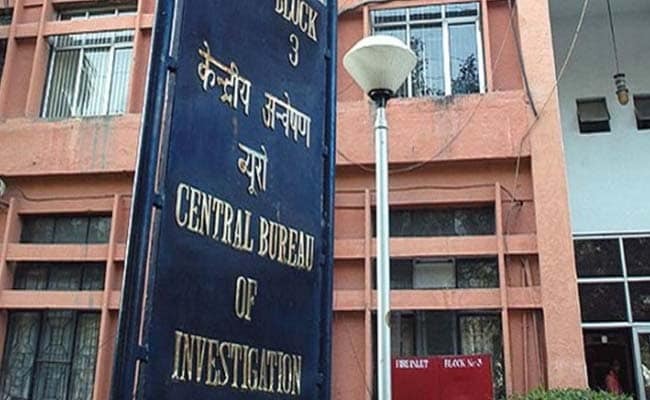 Six people, including Ravi Shankaran, a relative of former Navy Chief Admiral Arun Prakash and Delhi-based businessman Abhishek Verma were chargesheeted by the CBI in 2006. Besides these two, former Navy officer Kulbhushan Prashar, former Commander Vijender Rana, sacked commander VK Jha and former IAF Wing Commander Sambha Jee L Surve are facing trial in the case for criminal conspiracy under the IPC, besides various provisions of the Official Secrets Act. During the probe, the CBI examined all the files and questioned some navy officers regarding the role of Kashyap Kumar in the leak but failed to get any convincing answers about his involvement. They got a routine reply that Mr Kumar stood dismissed under Section 15 of the Indian Navy Act, an action, which has already been challenged in the Delhi High Court. Mr Kumar was dismissed under the Section 15 of the Navy Act wherein an accused official has no right to present his case or see the allegations that have been levelled against him. In one of the petitions submitted by the former captain said, "The pendency of the petition before this court, particularly in view of the fact that no material against the petitioner (Mr Kumar) has been brought to light even after thorough investigations by independent agencies, is causing grave prejudice to the petitioner." "Although the CBI in its status report before this court has stated that the CBI has found nothing against the petitioner yet, the petitioner is facing issues during the course of his present employment/employability as employers need a clean chit in this regard. For this purpose, the present petition, in the interest of justice, may be expedited so that the petitioner may satisfy this court about the unfairness meted to the petitioner and the petitioner may vindicate his stand before this court," his petition had said. A shy person, Mr Kumar keeps away from being in the limelight, says friends close to him who still vouch for his sincerity and integrity. "His father was an Army colonel and he also served the nation but see what reward he has got in return," said a close family friend, who has been standing with him in his long wait for justice. The agonising wait for justice notwithstanding, Mr Kumar soldiered on, doing low-paying jobs for Rs 20,000 a month and even ploughing farms owned by others to sustain his family. He has lost many jobs because of his past. Even after his name has been cleared by the CBI, the former captain is gearing for another fight at the Armed Forces Tribunal where he has challenged his dismissal from the Navy. The petition was transferred to the tribunal by the high court last year after 12 years of hearing.